They taught us to d-d-dance and they set our world on fire, and now, everyone’s favorite Swedish rockers just want us to smile – or something like that. 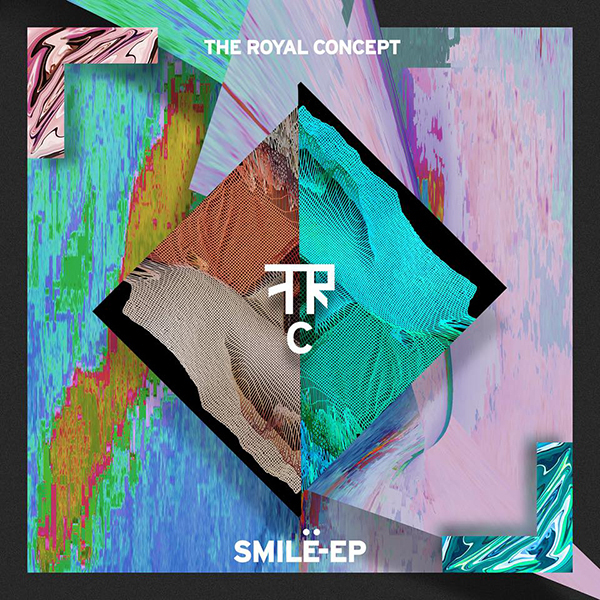 With the release of the Smile EP (8/21/15 via LAVA/Republic Records), The Royal Concept have deviated from their indie pop, Phoenix-like roots in attempts to establish a sonic blend that is wholly and unequivocally their own. Make no mistake, this is no Sgt Pepper’s-like transition; The Royal Concept are still very much the same sunny, ‘flashy melody’ and ‘catchy beat’-driven band the world knows them to be. However, it’s been nearly two years since their last significant record release, so naturally the foursome developed a few new tricks. Smile finds the band confidently spreading out their arrangements, experimenting with Mark Ronson-esque funk rock patterns and going to Queen-like extremes of vocal harmony. The key to an artist’s growth, I find, is the ability to continuously develop sounds and structures while maintaining familiarity, and The Royal Concept pulled this off remarkably well on Smile: Songs like lead single “Fashion” and the title track confirm that the band’s penchant for catchy, earworm hooks hasn’t changed, while EP closer “Just Wanna Be Loved By U” turns the soulful heartache of 2013’s “Cabin Down Below” and “Shut The World” into what may very well be described as The Royal Concept’s first true slow love ballad. Musically, the Royal Concept come off as tighter, yet far more laid back than on their first album. They know how to write a catchy pop tune – which they proved on *every* song off their Royal EP – so at this juncture it seems their concern is not so much in crafting hits, as it is in shaping tone. Music takes precedence to radio-readiness, which is good if one looks at this from the band’s perspective: It means they’re growing. And growth means there will inevitably be some growing pains. As with many post-debut experimentations, Smile is not without its flaws. It might not be so easy for fans of The Royal Concept’s edgy electronic/rock side to get on board with the deeper, dance-influenced cuts “Higher Than Love” and “Hurricane” that present themselves on this EP. The band’s recognizable indie-dance-rock-pop musical style is dancier than ever, with 80s dance and new wave infusions permeating the record’s nooks and crannies. The increased focus on these styles lends itself well to songs like “Smile” and “Fashion,” where the theme is present but not overbearing; however, without well-defined and memorable hooks, the EP’s remaining three songs become a blur of synths and guitars. If someone told me that “Higher Than Love” was a chart-topper from 1987, I wouldn’t bat an eyelash. If The Royal Concept are playing to win, then let’s hope Smile is practice. The band undoubtedly have tons of unreleased material from the past two years; the trouble for this band is that, having preceded the 2014 indie pop bubble burst, they’ve lost significant momentum and originality. Title track “Smile” is a brilliant and creative reintroduction, with background chants setting the melodic structure and an ingeniously full-bodied chorus, but “Smile” needs to be followed up by material that is just as strong, if not stronger than the band’s previous work – and that is where this new EP falls short. “Just Wanna Be Loved By U” shows the band’s softer, personal side in gut-wrenching glory with a big, slow dynamic chorus, but for all its memorability, it’s no Aerosmith rock ballad. On the plus side, sub-par music by The Royal Concept is still generally better than most other bands’ output in the modern indie/alternative pop canon. The Royal Concept set the bar extra high with their stellar initial releases, meaning their new musical forays were doomed to receive heavy critique and scrutiny from the outset. The fact that “Smile” and “Fashion” do offer new and exciting glimpses into The Royal Concept’s future is hope enough to consider the Smile EP a success: It indicates the growth and expansion of a dearly beloved band. Now it’s time for them to reel things in and craft what The Royal Concept does best – a rich, vibrant and tuneful album. If they can mix this new, denser musical style with the same tenacity and songwriting vigor with which they approached their 2013 debut, then The Royal Concept will be unstoppable.